You may have noticed the Boston Red Sox are doing their utmost to change their club house environment for the better. They have been bringing in ‘high character’ type players all offseason long. The team is clearly trying to send a message, move on together, and get away from the ’25 guys, 25 cabs’ mentality that prevailed over much of the last two seasons in Boston. This apparent change to in-house culture obviously hasn’t been completely finalised as yet, as one massive, glowing, shining neon light of potential disaster is still emanating from one of the lockers in the Sox clubhouse. Alfredo Aceves is no stranger to controversy in Boston (or anywhere else, for that matter). He apparently simply refuses to toe the line of a ‘team first’ mentality, and seems to have a burning desire to stand out via the medium of outlandish actions and incidents. Most recently, in fact just this Sunday past, Aceve’s ‘Dark Passenger’ emerged to wreck a simple spring training bullpen session, Batters watched bemused as Aceves tossed light ‘eephus pitches’ at them, an exercise that would basically have zero benefit for a grand total of nobody involved. Selfish, childish behaviour from the man who basically has become the Julian Tavarez of this version of the Red Sox. It took intervention from pitching coach Juan Nieves and manager John Farrell to finally rectify the situation. The odd thing is, if Aceves wanted to cleverly fight this latest charge of being a malcontent, he could have argued that the eephus pitch is actually a part of his pitching arsenal. He does legitimately throw them. Having said that, no batting practice batter wants to see that type of pitch employed regularly, and to that end no matter what way you colour it, Aceves’s actions were selfish. You would really think Aceves would be more careful. We’re not talking the second coming of Felix Hernandez here. Aceves went 2-10 with a 5.36 ERA in 84 innings last season, something just about anyone with a pulse could have done. Boston has buckets of bullpen depth in spring training camp, so there's no guarantee Aceves will get a roster spot if he doesn't appear 100% committed to the cause. 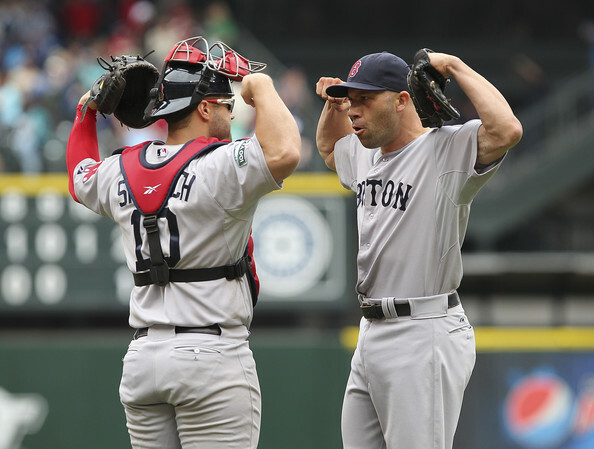 At the end of the day, if the Red Sox do trade, cut or otherwise dispose of Aceves, he has one person to blame and one person only. He has been given more chances than the average ball player to fit in, and has basically rejected these chances by continuing to act in ways detrimental to the overall team goal. Aceves may be amusing and he may also be an effective and indeed rubber armed relief pitcher, however when he behaves like this, which is far too often, he is a complete cancer to the Red Sox. They say they are turning the page and bringing in ‘character’ guys to change the club house ethos. Aceves provides a test of exactly that. If he is still on the Red Sox roster come opening day, it would be nothing short of a huge shock.